SIX 1 years ago, as some of my present hearers may remember, I had the privilege of addressing a large assemblage of the inhabitants of this city, who had gathered together to do honor to the memory of their famous townsman, Joseph Priestley; and, if any satisfaction attaches to posthumous glory, we may hope that the manes of the burnt-out philosopher were then finally appeased. No man, however, who is endowed with a fair share of common sense, and not more than a fair share of vanity, will identify either contemporary or posthumous fame with the highest good; and Priestley’s life leaves no doubt that he, at any rate, set a much higher value upon the advancement of knowledge, and the promotion of that freedom of thought which is at once the cause and the consequence of intellectual progress. Hence I am disposed to think that, if Priestley could be amongst us to-day, the occasion of our meeting would afford him even greater pleasure than the proceedings which celebrated the centenary of his chief discovery. The kindly heart would moved, the high sense of social duty would be satisfied, by the spectacle of well-earned wealth, neither squandered in tawdry luxury and vainglorious show, nor scattered with the careless charity which blesses neither him that gives nor him that takes, but expended in the execution of a well-considered plan for the aid of present and future generations of those who are willing to help themselves. We shall all be of one mind thus far. But it is needful to share Priestley’s keen interest in physical science; and to have learned, as he had learned, the value of scientific training in fields of inquiry apparently far remote from physical science; in order to appreciate, as he would have appreciated, the value of the noble gift which Sir Josiah Mason has bestowed upon the inhabitants of the Midland district. For us children of the nineteenth century, however, the establishment of a college under the conditions of Sir Josiah Mason’s trust has a significance apart from any which it could have possessed a hundred years ago. It appears to be an indication that we are reaching the crisis of the battle, or rather of the long series of battles, which have been fought over education in a campaign which began long before Priestley’s time, and will probably not be finished just yet. In the last century, the combatants were the champions of ancient literature, on the one side, and those of modern literature on the other, but, some thirty years 2 ago, the contest became complicated by the appearance of a third army, ranged round the banner of physical science. I am not aware that any one has authority to speak in the name of this new host. For it must be admitted to be somewhat of a guerilla force, composed largely of irregulars, each of whom fights pretty much for his own hand. But the impressions of a full private, who has seen a good deal of service in the ranks, respecting the present position of affairs and the conditions of a permanent peace, may not be devoid of interest; and I do not know that I could make a better use of the present opportunity than by laying them before you. From the time that the first suggestion to introduce physical science into ordinary education was timidly whispered, until now, the advocates of scientific education have met with opposition of two kinds. On the one hand, they have been poohpoohed by the men of business who pride themselves on being the representatives of practicality; while, on the other hand, they have been excommunicated by the classical scholars, in their capacity of Levites in charge of the ark of culture and monopolists of liberal education. The practical men believed that the idol whom they worship—rule of thumb—has been the source of the past prosperity, and will suffice for the future welfare of the arts and manufactures. They were of opinion that science is speculative rubbish; that theory and practice have nothing to do with one another; and that the scientific habit of mind is an impediment, rather than an aid, in the conduct of ordinary affairs. Finally, having reached old age with its well-earned surroundings of “honor, troops of friends,” the hero of my story bethought himself of those who were making a like start in life, and how he could stretch out a helping hand to them. We may take it for granted then, that, in the opinion of those best qualified to judge, the diffusion of thorough scientific education is an absolutely essential condition of industrial progress; and that the college which has been opened to-day will confer an inestimable boon upon those whose livelihood is to be gained by the practice of the arts and manufactures of the district. The only question worth discussion is, whether the conditions, under which the work of the college is to be carried out, are such as to give it the best possible chance of achieving permanent success. 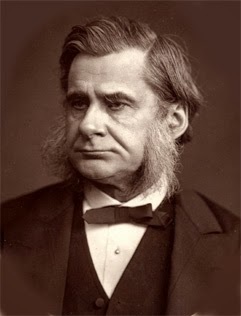 Sir Josiah Mason, without doubt most wisely, has left very large freedom of action to the trustees, to whom he proposes ultimately to commit the administration of the college, so that they may be able to adjust its arrangements in accordance with the changing conditions of the future. But, with respect to three points, he has laid most explicit injunctions upon both administrators and teachers. It does not concern me at present to dwell upon the first two injunctions any longer than may be needful to express my full conviction of their wisdom. But the third prohibition brings us face to face with those other opponents of scientific education, who are by no means in the moribund condition of the practical man, but alive, alert, and formidable. It is not impossible that we shall hear this express exclusion of “literary instruction and education” from a college which, nevertheless, professes to give a high and efficient education, sharply criticised. Certainly the time was that the Levites of culture would have sounded their trumpets against its walls as against an educational Jericho. How often have we not been told that the study of physical science is incompetent to confer culture; that it touches none of the higher problems of life; and, what is worse, that the continual devotion to scientific studies tends to generate a narrow and bigoted belief in the applicability of scientific methods to the search after truth of all kinds. How frequently one has reason to observe that no reply to a troublesome argument tells so well as calling its author a “mere scientific specialist.” And, as I am afraid it is not permissible to speak of this form of opposition to scientific education in the past tense; may we not expect to be told that this, not only omission, but prohibition, of “mere literary instruction and education” is a patent example of scientific narrow-mindedness? I am not acquainted with Sir Josiah Mason’s reasons for the action which he has taken; but if, as I apprehend is the case, he refers to the ordinary classical course of our schools and universities by the name of “mere literary instruction and education,” I venture to offer sundry reasons of my own in support of that action. For I hold very strongly by two convictions. The first is, that neither the discipline nor the subject-matter of classical education is of such direct value to the student of physical science as to justify the expenditure of valuable time upon either; and the second is, that for the purpose of attaining real culture, an exclusively scientific education is at least as effectual as an exclusively literary education. I need hardly point out to you that these opinions, especially the latter, are diametrically opposed to those of the great majority of educated Englishmen, influenced as they are by school and university traditions. In their belief, culture is obtainable only by a liberal education; and a liberal education is synonymous, not merely with education and instruction in literature, but in one particular form of literature, namely, that of Greek and Roman antiquity. They hold that the man who has learned Latin and Greek, however little, is educated; while he who is versed in other branches of knowledge, however deeply, is a more or less respectable specialist, not admissible into cultured caste. The stamp of the educated man, the university degree, is not for him. I am too well acquainted with the generous catholicity of spirit, the true sympathy with scientific thought, which pervades the writings of our chief apostle of culture to identify him with these opinions; and yet one may cull from one and another of those epistles to the Philistines, which so much delight all who do not answer to that name, sentences which lend them some support. We have here to deal with two distinct propositions. The first, that a criticism of life is the essence of culture; the second, that literature contains the materials which suffice for the construction of such a criticism. I think that we must all assent to the first proposition. For culture certainly means something quite different from learning or technical skill. It implies the possession of an ideal, and the habit of critically estimating the value of things by comparison with a theoretic standard. Perfect culture should apply a complete theory of life, based upon a clear knowledge alike of its possibilities and of its limitations. But we may agree to all this, and yet strongly dissent from the assumption that literature alone is competent to supply this knowledge. After having learnt all that Greek, Roman, and Eastern antiquity have thought and said, and all that modern literatures have to tell us, it is not self-evident that we have laid a sufficiently broad and deep foundation for the criticism of life which constitutes culture. Indeed, to any one acquainted with the scope of physical science, it is not at all evident. Considering progress only in the “intellectual and spiritual sphere,” I find myself wholly unable to admit that either nations or individuals will really advance, if their common outfit draws nothing from the stores of physical science. I should say that an army, without weapons of precision, and with no particular base of operations, might more hopefully enter upon a campaign on the Rhine, than a man, devoid of a knowledge of what physical science has done in the last century, upon a criticism of life. When a biologist meets with an anomaly, he instinctively turns to the study of development to clear it up. The rationale of contradictory opinions may with equal confidence be sought in history. It is, happily, no new thing that Englishmen should employ their wealth in building and endowing institutions for educational purposes. But, five or six hundred years ago, deeds of foundation expressed or implied conditions as nearly as possible contrary to those which have been thought expedient by Sir Josiah Mason. That is to say, physical science was practically ignored, while a certain literary training was enjoined as a means to the acquirement of knowledge which was essentially theological. The reason of this singular contradiction between the actions of men alike animated by a strong and disinterested desire to promote the welfare of their fellows, is easily discovered. At that time, in fact, if any one desired knowledge beyond such as could be obtained by his own observation, or by common conversation, his first necessity was to learn the Latin language, inasmuch as all the higher knowledge of the western world was contained in works written in that language. Hence, Latin grammar, with logic and rhetoric, studied through Latin, were the fundamentals of education. With respect to the substance of the knowledge imparted through this channel, the Jewish and Christian Scriptures, as interpreted and supplemented by the Romish Church, were held to contain a complete and infallibly true body of information. Theological dicta were, to the thinkers of those days, that which the axioms and definitions of Euclid are to the geometers of these. The business of the philosophers of the Middle Ages was to deduce from the data furnished by the theologians, conclusions in accordance with ecclesiastical decrees. They were allowed the high privilege of showing, by logical process, how and why that which the Church said was true, must be true. And if their demonstrations fell short of or exceeded this limit, the Church was maternally ready to check their aberrations, if need be, by the help of the secular arm. Between the two, our ancestors were furnished with a compact and complete criticism of life. They were told how the world began, and how it would end; they learned that all material existence was but a base and insignificant blot upon the fair face of the spiritual world, and that nature was, to all intents and purposes, the playground of the devil; they learned that the earth is the centre of the visible universe, and that man is the cynosure of things terrestrial; and more especially is it inculcated that the course of nature had no fixed order, but that it could be, and constantly was, altered by the agency of innumerable spiritual beings, good and bad, according as they were moved by the deeds and prayers of men. The sum and substance of the whole doctrine was to produce the conviction that the only thing really worth knowing in this world was how to secure that place in a better, which, under certain conditions, the Church promised. Our ancestors had a living belief in this theory of life, and acted upon it in their dealings with education, as in all other matters. Culture meant saintliness—after the fashion of the saints of those days; the education that led to it was, of necessity, theological; and the way to theology lay through Latin. That the study of nature—further than was requisite for the satisfaction of everyday wants—should have any bearing on human life was far from the thoughts of men thus trained. Indeed, as nature had been cursed for man’s sake, it was an obvious conclusion that those who meddled with nature were likely to come into pretty close contact with Satan. And, if any born scientific investigator followed his instincts, he might safely reckon upon earning the reputation, and probably upon suffering the fate, of a sorcerer. Had the western world been left to itself in Chinese isolation, there is no saying how long this state of things might have endured. But, happily, it was not left to itself. Even earlier than the thirteenth century, the development of Moorish civilization in Spain and the great movement of the Crusades had introduced the leaven which, from that day to this, has never ceased to work. At first, through the intermediation of Arabic translations, afterwards by the study of the originals, the western nations of Europe became acquainted with the writings of the ancient philosophers and poets, and, in time, with the whole of the vast literature of antiquity. Whatever there was of high intellectual aspiration or dominant capacity in Italy, France, Germany, and England, spent itself for centuries in taking possession of the rich inheritance left by the dead civilization of Greece and Rome. Marvelously aided by the invention of printing, classical learning spread and flourished. Those who possessed it prided themselves on having attained the highest culture then within the reach of mankind. And justly. For, saving Dante on his solitary pinnacle, there was no figure in modern literature at the time of the Renaissance to compare with the men of antiquity; there was no art to compete with their sculpture; there was no physical science but that which Greece had created. Above all, there was no other example of perfect intellectual freedom—of the unhesitating acceptance of reason as the sole guide to truth and the supreme arbiter of conduct. The new learning necessarily soon exerted a profound influence upon education. The language of the monks and schoolmen seemed little better than gibberish to scholars fresh from Vergil and Cicero, and the study of Latin was placed upon a new foundation. Moreover, Latin itself ceased to afford the sole key to knowledge. The student who sought the highest thought of antiquity found only a second-hand reflection of it in Roman literature, and turned his face to the full light of the Greeks. And after a battle, not altogether dissimilar to that which is at present being fought over the teaching of physical science, the study of Greek was recognized as an essential element of all higher education. Thus the humanists, as they were called, won the day; and the great reform which they effected was of incalculable service to mankind. But the Nemesis of all reformers is finality; and the reformers of education, like those of religion, fell into the profound, however common, error of mistaking the beginning for the end of the work of reformation. The representatives of the humanists in the nineteenth century take their stand upon classical education as the sole avenue to culture, as firmly as if we were still in the age of Renaissance. Yet, surely, the present intellectual relations of the modern and the ancient worlds are profoundly different from those which obtained three centuries ago. Leaving aside the existence of a great and characteristically modern literature, of modern painting, and, especially, of modern music, there is one feature of the present state of the civilized world which separates it more widely from the Renaissance than the Renaissance was separated from the Middle Ages. This distinctive character of our own times lies in the vast and constantly increasing part which is played by natural knowledge. Not only is our daily life shaped by it, not only does the prosperity of millions of men depend upon it, but our whole theory of life has long been influenced, consciously or unconsciously, by the general conceptions of the universe, which have been forced upon us by physical science. In fact, the most elementary acquaintance with the results of scientific investigation shows us that they offer a broad and striking contradiction to the opinions so implicitly credited and taught in the Middle Ages. The notions of the beginning and the end of the world entertained by our forefathers are no longer credible. It is very certain that the earth is not the chief body in the material universe, and that the world is not subordinated to man’s use. It is even more certain that nature is the expression of a definite order with which nothing interferes, and that the chief business of mankind is to learn that order and govern themselves accordingly. Moreover this scientific “criticism of life” presents itself to us with different credentials from any other. It appeals not to authority, nor to what anybody may have thought or said, but to nature. It admits that all our interpretations of natural fact are more or less imperfect and symbolic, and bids the learner seek for truth not among words but among things. It warns us that the assertion which outstrips evidence is not only a blunder but a crime. The purely classical education advocated by the representatives of the humanists in our day gives no inkling of all this. A man may be a better scholar than Erasmus, and know no more of the chief causes of the present intellectual fermentation than Erasmus did. Scholarly and pious persons, worthy of all respect, favor us with allocutions upon the sadness of the antagonism of science to their mediaeval way of thinking, which betray an ignorance of the first principles of scientific investigation, an incapacity for understanding what a man of science means by veracity, and an unconsciousness of the weight of established scientific truths, which is almost comical. There is no great force in the tu quoque argument, or else the advocates of scientific education might fairly enough retort upon the modern humanists that they may be learned specialists, but that they possess no such sound foundation for a criticism of life as deserves the name of culture. And, indeed, if we were disposed to be cruel, we might urge that the humanists have brought this reproach upon themselves, not because they are too full of the spirit of the ancient Greek, but because they lack it. The period of the Renaissance is commonly called that of the “Revival of Letters,” as if the influences then brought to bear upon the mind of Western Europe had been wholly exhausted in the field of literature. I think it is very commonly forgotten that the revival of science, effected by the same agency, although less conspicuous, was not less momentous. In fact, the few and scattered students of nature of that day picked up the clew to her secrets exactly as it fell from the hands of the Greeks a thousand years before. The foundations of mathematics were so well laid by them that our children learn their geometry from a book written for the schools of Alexandria two thousand years ago. Modern astronomy is the natural continuation and development of the work of Hipparchus and of Ptolemy; modern physics of that of Democritus and of Archimedes; it was long before modern biological science outgrew the knowledge bequeathed to us by Aristotle, by Theophrastus, and by Galen. Note 1. Originally delivered as an address, in 1880, at the opening of Mason College, Birmingham, England, now the University of Birmingham. Note 2. The advocacy of the introduction of physical science into general education by George Combe and others commenced a good deal earlier; but the movement had acquired hardly any practical force before the time to which I refer.